Saving North America’s iconic snake from extinction. 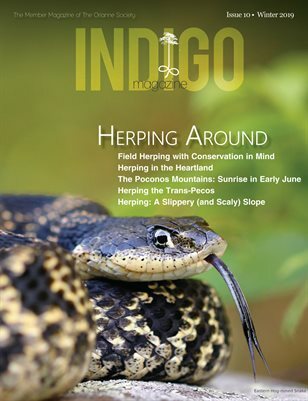 Learn more about the Eastern Indigo Snake, its biology, habitat and range. How we save the Eastern Indigo Science-fueled boots-on-the-ground conservation. It all starts with sound science.Our world class research provides deep insights into the complex threats facing the Eastern Indigo Snake. It's effective. It's efficient. It gets results. Protecting a large, contiguous corridor of Eastern Indigo habitat is the most direct route to their long-term viability. We use the latest land management and fire science practices to bring critical habitat back to life. Our state-of-the-art captive breeding facility allows us to propagate populations of Indigos for reintroduction to the wild. Eastern Indigos need burrows of the threatened gopher tortoise for overwintering. If there’s no tortoises, there’s no snakes. Our experts develop and implement reintroduction plans that give those animals the best chance for survival. The Eastern Diamondback rattlesnake is a food staple of the Eastern Indigo snake, and a majestic animal in its own right. And we’re just getting warmed up. Join us.